I find avocados completely irresistible. Although their skins are rough and leathery, the smooth, rich and creamy flesh of a ripe avocado is delightful – with a beautiful green colour and tantalizing nutty flavour. I always have avocados ripening in a fruit bowl, or waiting to be eaten in the fridge. I chop them into salads, slice them into sandwiches and mash them with chilli, tomatoes, lime juice and spices to make guacamole. They are quick, easy, and tasty. Moreover, they have considerable nutritive value, which is good as I eat them almost daily. But despite my fondness for avocados I rarely cook with them, perhaps because they are so effortless to eat as they are. 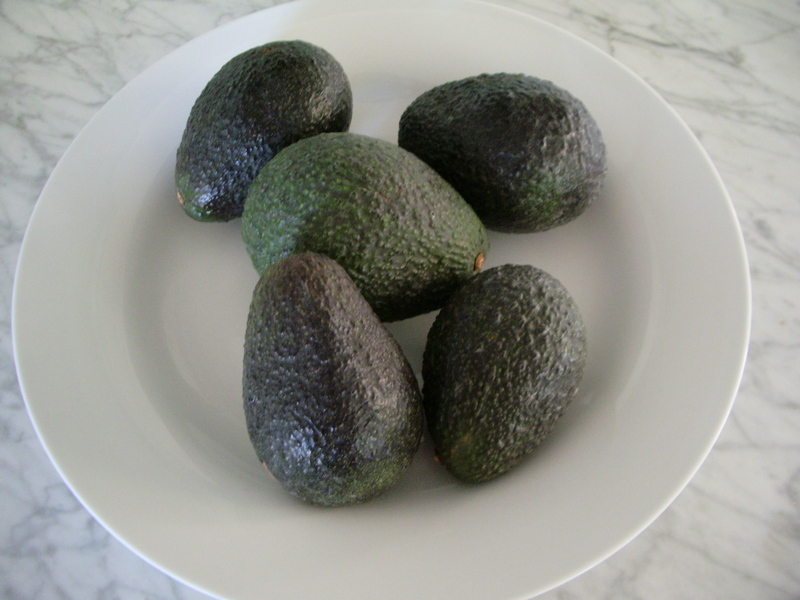 But as I currently have a surfeit – five ripe and ready to eat – I was looking for inspiration when I found the California Avocado Commission website (who knew! ), along with the recipe that follows, which I’ve adapted only slightly. 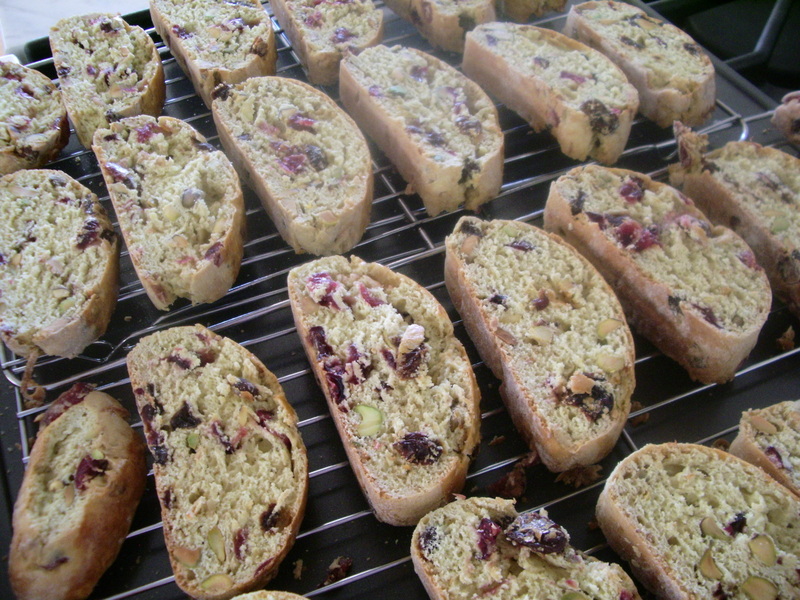 These biscotti were a pleasure to make, and the end result was pleasing not only to eat – the subtle flavour of the avocado is nicely enhanced by the pistachio nuts – but also to look at – with green and red flecks that stand out perfectly from the pale biscuit. They aren’t too sweet (which certainly works for me), and the soft, rich flesh of the avocado works as a substitute for butter, reducing calories, along with total and saturated fat. Together, this makes them not only pretty but also rather less decadent than much of the more traditional festive fare, and I think they’ll make great treats for Thanksgiving and Christmas. And I’m sure that they’ll complement a glass of port or dessert wine just as well as a cup of coffee. Preheat the oven to 325°F / 160°F / gas mark 3. Combine the cranberries and orange juice in a small pan. Cover and bring to the boil. Remove from the heat, add the orange zest and leave until ready to use. Mix the avocado, lemon juice and sugar in a small bowl, beating until smooth. Add the eggs, one at a time, beating well after each one. Add the vanilla and beat until mixed in. Then add the flour – approximately ¼ at a time – beating after each addition until thoroughly combined. 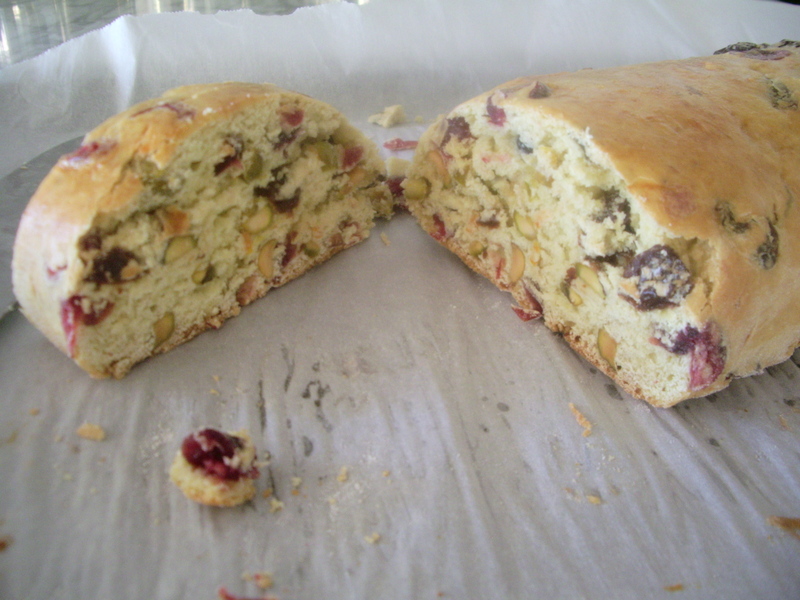 By hand, mix in the cranberries and orange juice mixture, as well as the pistachios. Turn the dough out onto a lightly floured surface and divide the mixture in two. Roll each half until it is lightly covered in flour and form into a log that is approximately ½-inch thick and 4-inches wide. Brush the top with the milk or beaten egg. Line a cookie sheet with parchment paper. Transfer the logs to the cookie sheet and bake in the preheated oven for 35 minutes. Remove and place on a cooling rack for 20 minutes. After this time, slice each log into ½-inch pieces, putting them onto a cooling rack that has been placed on a cookie sheet. Bake at 300°F / 150°C / gas mark 2 for 15 minutes. Remove from the oven, turn each cookie over and return to the oven for a further 15 minutes. Leave to cool. Repeat the process with any remaining slices. Store in an airtight container. 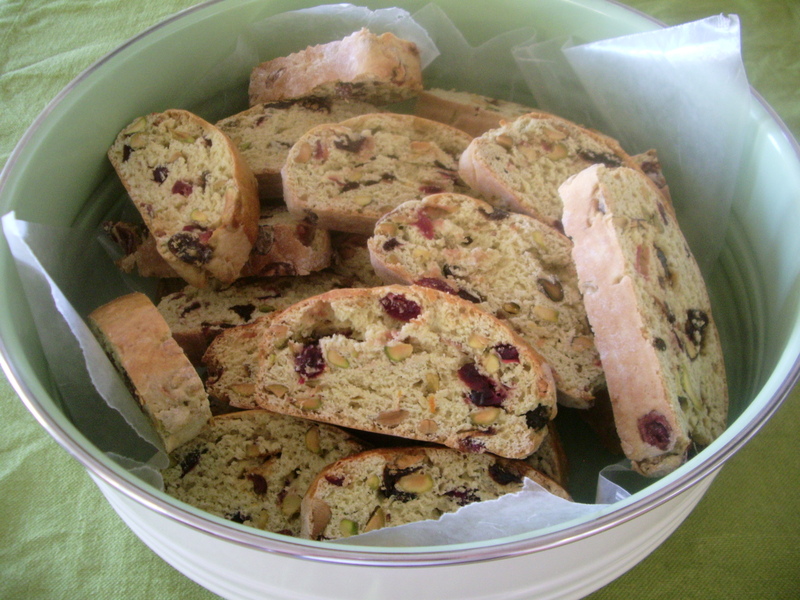 This will make approximately 30 biscotti. This entry was posted in California, Nutrition, Recipes, Sweet things. Bookmark the permalink.